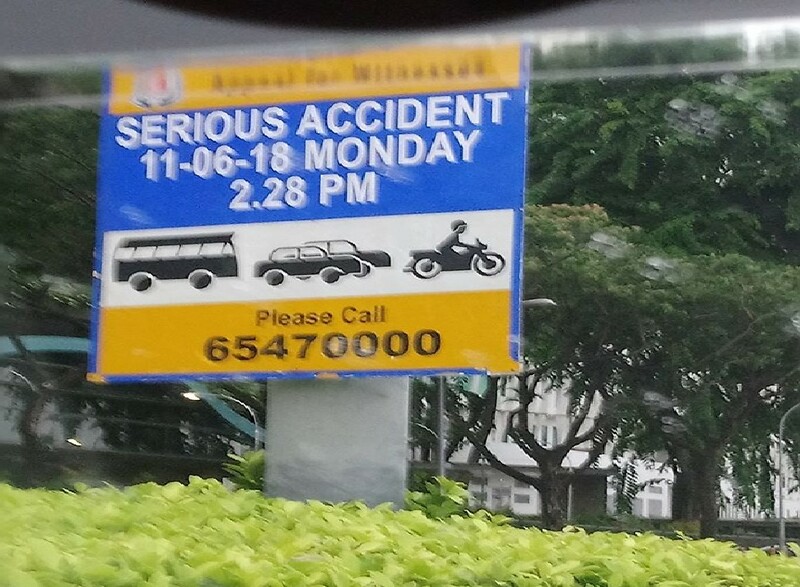 The traffic accident happened on 11/06/2018 around 2.28pm @ PIE after CTE near SIEMENS Centre. Chain collision of bike, cars and pte bus. The motorcyclist suffering serious injury and family calling for a witness to step forward to call Traffic Police at Tel: 6547 0000 / 6547 6251.